MIE Seminar Series: "Evidence-based public health decision-making– When decision-making precedes evidence-availability: Role of IEOR models in bridging this gap to inform the WHO Global Action Plan for cancer"
National and global strategic plans for disease prevention and control are extremely critical as they drive allocation of resources to multiple activities, ranging from local intervention programs to development of national health-systems. However, these decisions are often time-sensitive and decision-makers are pressed to take action even if complete evidence are not yet available. One such cases is the development of a Global Action Plan, tasked by the 66th World Health Assembly to the World Health Organization, for reducing premature mortalities from non-communicable diseases (NCDs), including cancers, by one-third by 2030. I will discuss our work in developing decision-analytic models for analysis of cancer control programs specifically for data-limited settings such as in low- and middle- income countries (LMICs). More than 90% of premature mortalities from NCDs occur in LMICs. Taking the case of breast cancer, current evidence informing mammography screening decisions are based on multiple randomized control trials (RCTs) and observational studies, supported by model-based analysis. Implementations of these screenings in high-income countries (HICs) have led to significant reductions in mortalities, however, these benefits have not transferred to LMICs. All current RCTs and observational studies are conducted in HICs, and most models are also based on populations in HICs due to these data limitations. LMICs thus adopt to extrapolating strategies or impacts of strategies from HICs, which can be challenging as clinical practices, health systems, infrastructure availabilities, and demographics differ across countries. Our work develops new Markov process simulation- based optimization models to address some of this gap. This work is in collaboration with the World Health Organization (WHO), the International Agency for Research on Cancer (IARC), and the Pan-American Health Organization (PAHO). Chaitra Gopalappa is an Assistant Professor in Industrial Engineering and Operations Research (IEOR). She has a joint appointment with the Department of Mechanical and Industrial Engineering and the Commonwealth Honors College at the University of Massachusetts - Amherst. She has a PhD degree in Industrial Engineering from the University of South Florida, Tampa, advised by Dr. Tapas Das. Prior to joining UMass in 2014, she was a Prevention-Effectiveness postdoctoral fellow at the Centers for Disease Control and Prevention (CDC) and later at Avenir Health an NGO working in global public health. 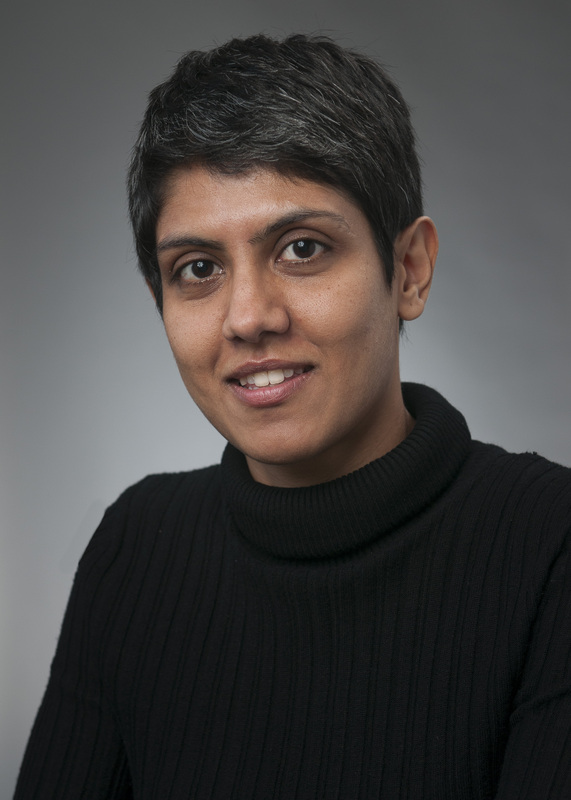 Her research interests are to advance mathematical methodologies and computational models for analyses of decisions that inform national- and global- public health policies and guidelines. Her recent publications are on new simulation-based optimization models developed for analysis of the National HIV/AIDS Strategy for the US, in collaboration with the CDC, and for analysis of cancer control programs for LMICs that informed the ‘Best Buys’ for the Appendix 3 of the WHO Global Action Plan for Non-communicable Diseases. Her work is funded by the National Institutes of Health and the World Health Organization.